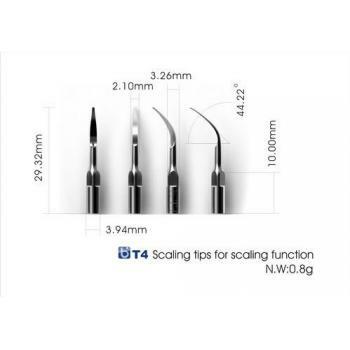 NOTE: Gold scaler tips with code ‘T’ are tips coated with Titanium nitride to increase longevity. · 135°C, 0.22MPa, 4 minutes. 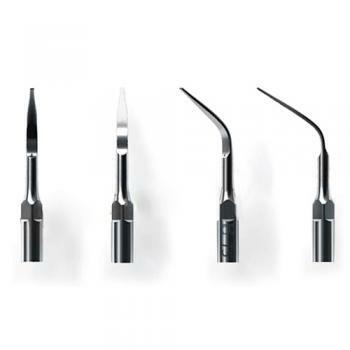 · G1, G2, G3, G4, G5, G6, P1, P3, P4, P3D belong to Woodpecker series, are compatible with Woodpecker, EMS and Mectron ultrasonic scalers. 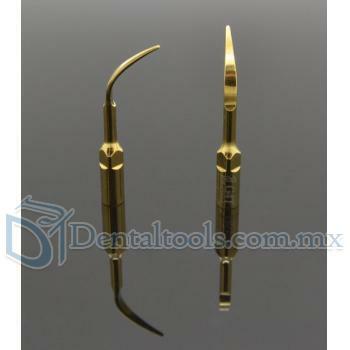 · The tip screwed on to the hand piece must be tightened. · The tip must be tightened while worked with spray. 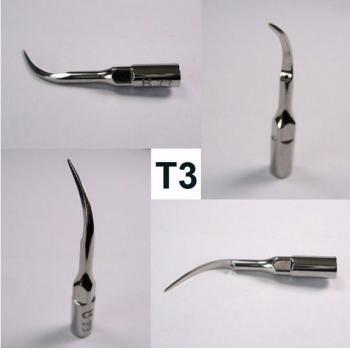 · The tip must be cleaned and disinfected before use. 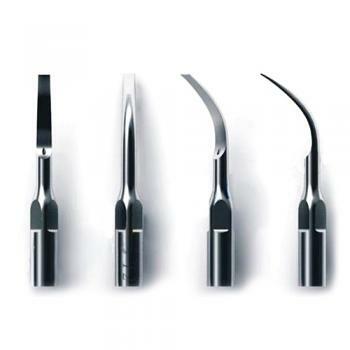 · When the tip or coating damaged or worn, please replace a new one. 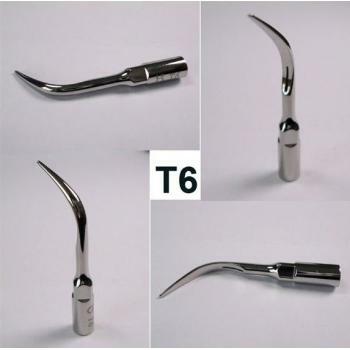 · Do not bend of grind the tip. · The haemophilia disease patient is not allowed to use. 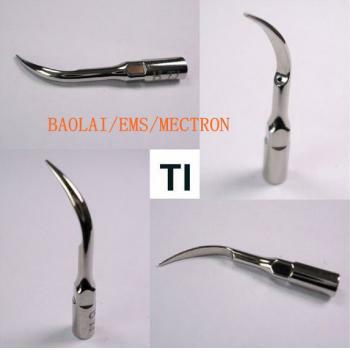 · The patients or doctors with heart pacemaker are forbidden to use. · The heart disease patient, pregnant women and children should be cautious to use. · The tips should be stored in clean, dry, ventilated, non-corrosive gases indoor place. · Use the torque wrench to screw the tip.